We are a family owned and operated Tree Service located in NKY. We want Go-Getter Tree to be the very best tree removal service in the Northern Kentucky area. We strive to be safe, knowledgeable, respectful, affordable and go beyond the industry standard for all of our customers. Customer Service is our lifeblood and we take it very seriously. 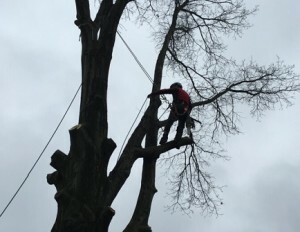 We are fully insured and licensed for any tree removal needs.